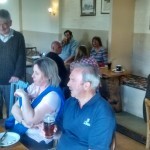 55 people were present, together with Steve Tapscott (Purbeck District Council), Wayne Roberts (Head Teacher, Bere Regis Primary School), Richard Henshaw (agent for the owners of the White Lovington land), Cllr Peter Wharf (County and District Councillor) and members of the Parish Council. Cllr Ventham welcomed everyone to the meeting and introduced those councillors present before giving a brief outline of the format for the Forum. 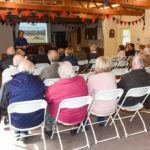 He then ran through the work and achievements of the Parish Council over the last year, including the current position of the Neighbourhood Plan and an update on the new proposal for the White Lovington site. Steve Tapscott, Purbeck District Council, then gave a definition of ‘affordable housing’ in terms of the Local Plan. ‘Can the new school cope with the increased housing numbers?’ – Wayne Roberts responded and gave an outline of the school’s future plans, including the possibility of extending the building should the need arise and funds become available. Downsizing – what is being done for those who are getting older and wish to remain in the village but move to a smaller house? The Neighbourhood Plan includes the potential for this to happen. Parking – what consideration is being given for the new developments? The Neighbourhood Plan builds in the requirement for developers to ensure there is sufficient, off-road parking – two per household. In the case of North Street, the Plan requires terrace type housing with two spaces per property to the rear of the development, similar to that already in North Street. Facilities – has the surgery been involved in the Plan? They were approached very early on but have said they do not wish to move from their current location. Mike Gee outlined the work of the Working Party to date. He informed those present that the Drax Hall is not a listed building but is within the conservation area and could be used for residential development in order to offset some of the cost of a new building. At this stage, it is not known what level of capital that may be achieved by this. This would form part of the work to be carried out during the next phase. Under the present agreement, the ownership and responsibility of the Drax Hall is in the hands of the Drax Hall Committee. The Community Hall Working Group will be looking at the detail of the Trustee Agreement, the ramifications, etc. of the sale of the existing building and what effect such action is likely to have on funding. It is anticipated that the new Group will be formed shortly and will be divided into two sections, one to consider the legal aspects of the work and one to begin looking at fund raising initiatives. Cllr Wharf gave a brief outline of the history of the Purbeck Local Plan saying that, in 2012, the Independent Inspector agreed the Plan in principle but approved it on the understanding that a review would be carried out as he felt the Plan included insufficient housing. Up until 2033, a further 3,000 houses were needed throughout Purbeck. He then went on to explain the recent unitary consultation and the outcome that had been achieved, together with the representation to the Secretary of State. He explained how this is going to affect the current system of 9 local government councils – six district councils, 2 borough councils, and 1 county council – which is not particularly efficient. 6 of the councils have voted in favour of the unitary authority. Those three that did not (Purbeck, East Dorset and Christchurch) will not be included in future discussions. The remaining six councils will now need to produce a transformation plan and a mechanism for transferring the various responsibilities from the middle (district) tier once it is removed. This will mean that the parishes will be given more responsibility but they will need the budget to move with that responsibility. It is hoped that the unitary authority will come into effect in May 2019 at the elections. White Lovington – concern was expressed regarding the wildlife in the area. Natural England have raised concerns about the development abutting the heathland and there are a number of issues relating to the wildlife on the site. Exiting from White Lovington on to Rye Hill is already difficult at times. The potential for an additional 24 vehicles, plus site vehicles, will exacerbate the problem. It was pointed out that any development would have to take all of this into account and produce the appropriate reports and responses. Cllr Wharf offered to arrange for someone from Natural England to meet with the residents. Cllr Bates reported that he had recently attended a meeting which had included a talk from councillors based in Wiltshire, which already has the unitary status. He said that parish councils there worked in area groups to achieve economies of scale. This is something the Purbeck parishes may look into once the unitary authority is underway. Cllr Wharf reported that there are 8 parish councils within Purbeck and they all need to consider the work currently undertake by the District and County Councils and decide what they feel they would be able to take on. This may well involve the parishes linking with neighbouring parishes but there is a great deal of work to be done before this stage is reached. 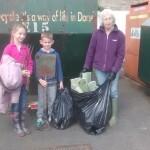 Facebook – dog mess on the route to school. This was discussed at the March Parish Council meeting and a working party of parish councillors has been set up to consider all possibilities. The working party is being headed by Cllr Tom Bennett and, should anyone wish to assist, they would be welcome to contact him. There being no further comments, the meeting closed at 11:50am. After many months waiting for an agreement in principle from the main landowner, we have finally received notification and are able to proceed with the Plan. One of the first steps was to have Habitat Surveys carried out for each of the main sites and these can be found: Back Lane, North Street, and White Lovington. This is only the first step. Should any development go ahead in the future, each developer would be required to undertake a detailed survey. We currently have one vacancy for a Parish Councillor. If you live or work in the parish, are over 18 years old and would like to make a difference to your community, then why not think about becoming a Parish Councillor. Bere Regis is a very active parish council and you will be joining a team of 10 other parish residents who are passionate about the village and its surroundings. We meet on the second Thursday of each month at the Drax Hall, North Street at 7pm. If you would like to have further details or submit your name for consideration, please contact the Clerk on 01929 472327 or by e-mail: bereregispc@gmail.com. We need help to take this project forward. Following the Parish Council’s endorsement of the initial work of the Bere Regis Community Hall Working Group (see the report on the ‘Projects’ page), the next stages of work on this important project for a new Community hall to replace the Drax Hall are now underway. 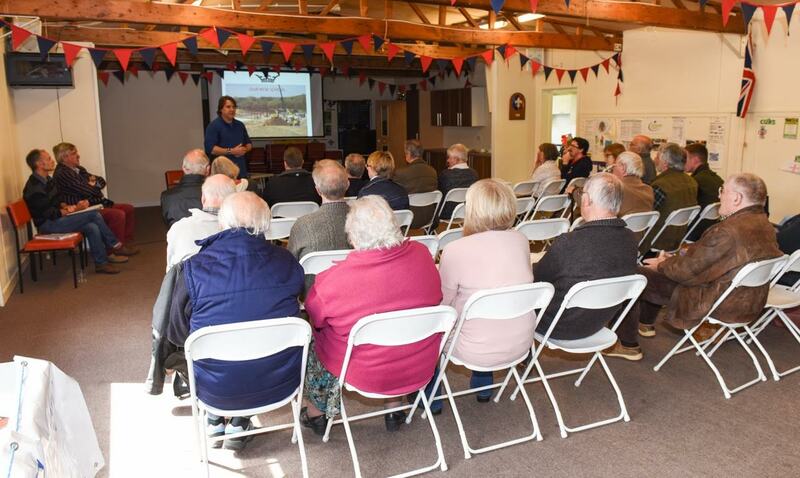 A Community Hall sub-group of the Parish Council has been set up to act as a steering group, with two working groups doing the bulk of the work. One working group is tasked with looking at funding issues. The other working group will look at property, legal, site selection and design matters. It would be very helpful for someone with a legal background to sit on the latter working group or be available to answer queries. If you are able to help with this or have any questions or suggestions about the project, please contact Mike Gee at mike.gee@tesco.net. The Bere Regis Indoor Sports and Community Facility Working Group, have been asked to advise the Parish Council on whether there is a need, and support within the community, for development of a new indoor sports and community facility. They have surveyed the managers and users of all the meeting places in Bere Regis. 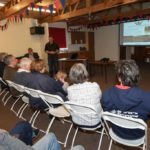 They told us that they are generally happy with the existing venues, with the exception of the Drax / Village Hall which has some limitations due to its age, size and layout. They are sending a survey to every household in Bere Regis Parish and need you to reply to help decide what will happen. Your answers will enable them to gauge public demand for any new hall, the way in which it is likely to be used and the facilities it might provide. So tell us what you think, as your opinion counts. 35 people were present, including County, District and Parish Councillors as well as representatives of parish organisations and residents. Cllr Ventham welcomed everyone to the meeting and introduced those councillors present before giving a brief outline of the format for the Forum. He then ran through the work and achievements of the Parish Council over the last year, including the current status with regard to the Neighbourhood Plan, before introducing Colin Eversden, the project manager for the new school. Colin gave a brief history of the work to date and what had been achieved on the site so far. The access road has been completed, the excavation work to level the site has been done, the piling for the main building is almost complete and the ground level foundations are in. The steel framework is half way through and the brickwork will be started towards the end of April/beginning of May. The work is on schedule in terms of the main contractor’s programme. Morgan Sindall is the contractor carrying out the work. They are aiming to complete the work by the end of the year. Road improvements in Southbrook, the crossing point in Elder Road, the footpaths in Southbrook and the final works to the access road will all be done towards the end of the project. Wayne Roberts, the new head teacher of Bere Regis primary school, was then invited to say a few words. The school now has a new web site which is updated regularly and contains a weekly blog and photographs of the new school’s process. There is a web cam on the new school site and this will be linked to the school web site. This can be found at www.bereregis.dorset.sch.uk. In September 2015, the school took over the running of Ragamuffins and the new school will have a purpose built nursery. The school now caters for children from 2 to 11 years old. They are in the process of recruiting a new nursery nurse in order to bring the staffing level up to full capacity. 17 children started reception in September – 16 of these came from the nursery. The school is looking to become a Multi Academy Trust and are considering all the options – whether to link with Lychett or possibly Purbeck School. They are currently also looking at their travel plan. At the moment, a ‘drop and go’ system has been put in place with the school opening at 8:45am. This has reduced some of the traffic congestion outside the school in the mornings. Once the new school is completed, it is intended that a cycling plan be considered for years 4, 5 and 6, with the children undertaking their cycling proficiency and being encouraged to cycle to school. The handover date is set for 12th December, 2016. 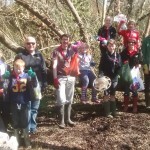 Cllr Tom Bennett then gave a brief outline of the work of the Open Spaces Group both on the Nature Reserve site on Souls Moor and the work carried out in clearing areas of the stream and woodland to the north of the stream. 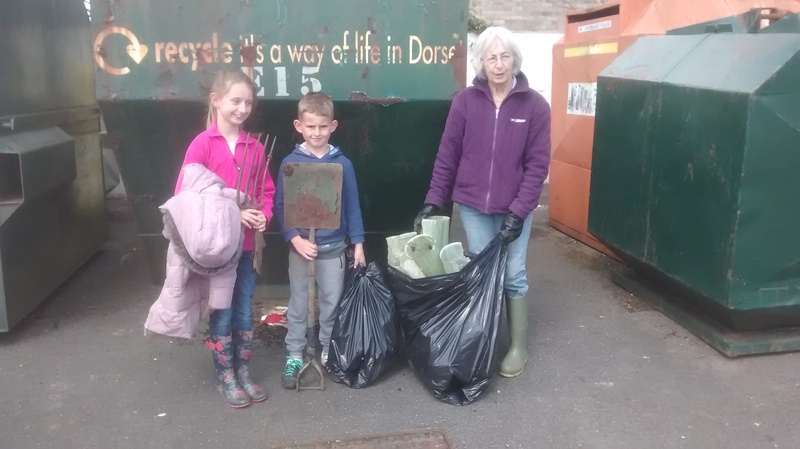 He explained that, whilst some of the work appears a little drastic, it is all being done under the guidance of the Dorset Wildlife Trust with a view to encourage flora and fauna into the areas. Some areas of the stream have been cleared of weed to enable the free flow of water, whilst other areas have been left in order to encourage weed growth. This provides shelter and spawning grounds for the fish. This coming year it is hoped that there will be two ponies put on the nature reserve site during the summer months. Once the ponies arrive, members of the public are asked to ensure they keep their dogs on a lead, clear up after their animals and do not feed the ponies. 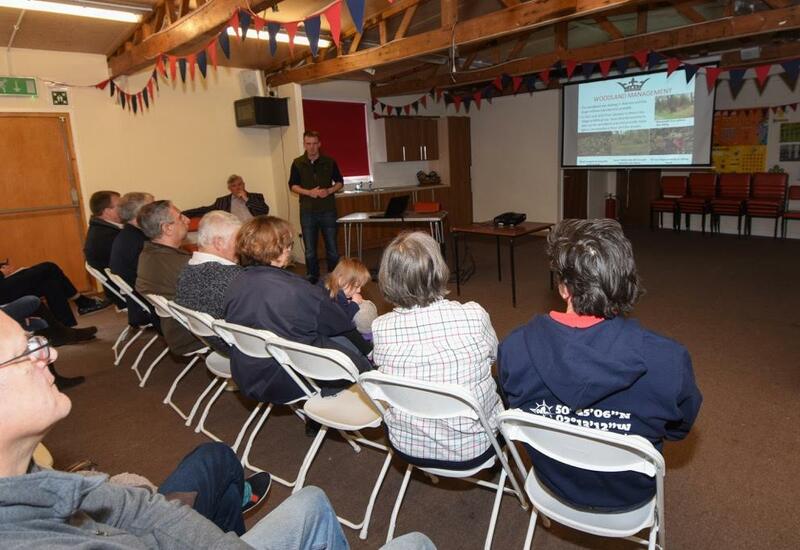 Neal Unitt-Jones then gave a report on the work of the Bere Regis Sports and Community Facility Group. They have been set up to look at the viability of a new facility – does the village need another such facility, will it be used, where it will go, etc. He stressed that the group is in its very early stages and will be approaching all the other groups in the village to ask about their existing facilities and how they see themselves progressing in the future. Robert Beadell gave a brief outline of the work of the PPG. Sarah Brady reminded everyone that the Twinning Weekend will be on the 16th September with visitors from Cerences coming to us this year. New families would be very welcome. Alison Bennett spoke on behalf of the Drax Hall and Pop In. saying that this is Pop In’s 20th birthday year. They have raised over £80,000 for local charities during that time and will be continuing to hold fund-raising events this year – 24th July there will be a cream tea for the over 50s with the Dunovaria Band accompanying the proceedings. Alison went on to explain that the building is now 239 years old and is experiencing a few problems, not least of which is with the stair lift. 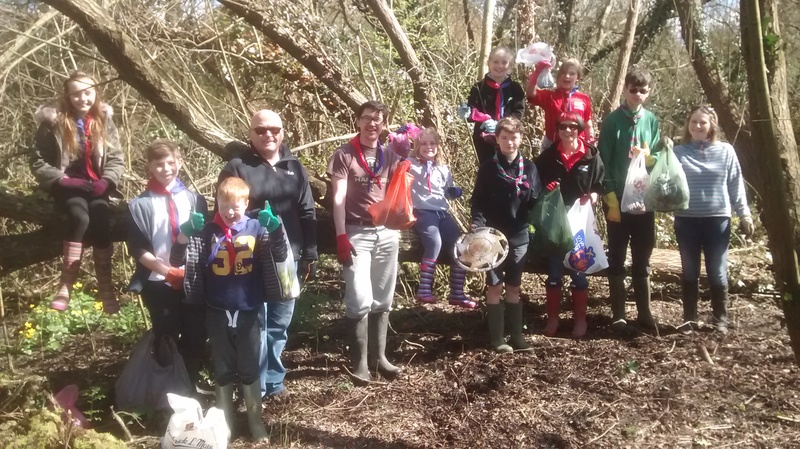 Neal Unitt-Jones reported that the Scout Group goes from strength to strength but they still need one more Beaver Leader for the 6-8 year olds. Cllr Ventham informed everyone that the Parish Council is in the process of organising a street party to celebrate the Queen’s official 90th birthday on Saturday 11th June. West Street will be closed from the Manor Farm Road junction to the North Street junction. Tables and chairs will be brought from the Scout Hut and residents of the parish will be invited to bring along a picnic. There will be live music in front of Cyril Wood Court and the day will run from about 4.00pm until 9.00pm. Everyone is welcome. If the Drax Estate will not talk to us, does that mean the proposed 70 houses will not get built? Cllr Wharf explained how the number 70 was arrived at and the existence of SHLAAs (Strategic Housing Land Availability Assessment) which are primarily based around Drax land. Bere Regis has a very limited number of sites available so, if the Drax Estate does not come forward, there would be considerably fewer houses that could be built. The old school site could provide for a maximum of 30 houses but, more probably, the number will be nearer 15. Alison Bennett – where would the proposed new community facility be situated? Cllr Ventham explained that there are a number of possible sites but the group is still in its very early stages to be considering the location. However, possibilities could include Back Lane, the site of the Scout Hut, the bottom field at the Sports Club, the old school site or the new school site. A need has to be proven before the group starts to look at possible sites. Sarah Welton – she has written to express her concerns about the traffic using West Street and feels that it is being used as a rat run for people who think it will be quicker than going around the by-pass. StatNavs are directing people to Monkey World and Bovington, via West Street as this represents the most direct route. It was noted that there is no ‘traffic merging’ sign on the approach to the west-bound slip road. Cllr Wharf will look into this. 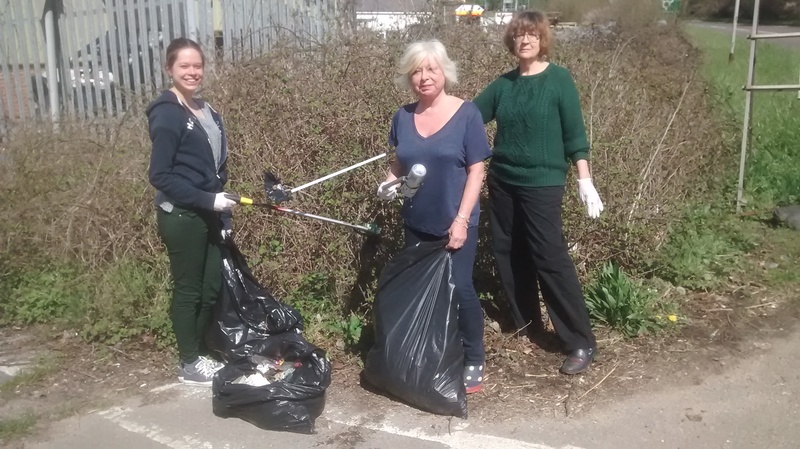 On a lovely sunny Sunday morning, a group of villagers met at the central car park, were issued with pickers and yellow high viz jackets and then went off to various locations around the village to begin tidying. 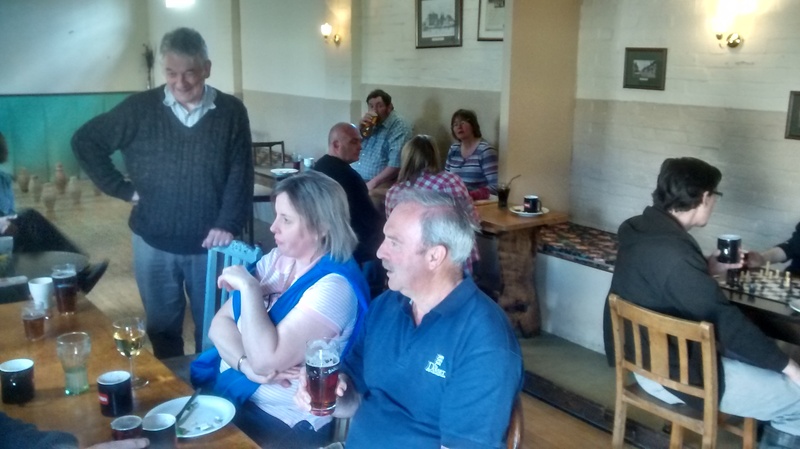 An hour later and several very full black sacks, the hard workers retired to the Drax Arms for a well-earned cup of soup. Thanks are extended to all those who helped. We are lucky to live in such a beautiful part of the world and a village with such a strong community spirit. Following on from comments made in various questionnaires and surveys in recent years, the Parish Council has set up an independent Working Group to advise it on whether there is a need, and support within the community, for a new indoor sports and community facility. This is a potentially exciting project for the village, although the Working Group will have to be realistic about what can be achieved and wishes to be careful about raising false hopes. Representatives from a number of village groups and organisations sit on the Working Group, including the Sports Club, the Drax Hall, the Parish Council, the School and the Scouts. The Working Group held its first meeting on 9th March when it discussed how to set about its work. The Working Group will be contacting all local groups so as to understand their requirements and how well they are currently met and will be looking at all existing sports and community facilities in the Parish to see what they provide. The Working Group will be seeking views from the wider community. The first opportunity to do so will be at the Village Forum to be held at the Scout Hut on the morning of Saturday 23rd April. If you have any questions about the work of the Group or any thoughts or comments, please contact Mike Gee at mike.gee@tesco.net or on 0775 988 4942. There is a long and unbroken tradition in our country of celebrating Royal jubilees, weddings, coronations and special birthdays with the lighting of beacons. The last major beacon lighting celebration was on Her Majesty the Queen’s Diamond Jubilee on 4th June 2012 and the village came out in force to have a wonderful family day at the Sports Ground. There will be a further opportunity to celebrate on Thursday 21st April, when beacons will be lit throughout the United Kingdom, Channel Islands, Isle of Man and UK Overseas Territories to celebrate The Queen;s 90th birthday and Bere Regis will be part of that celebration, with our beacon being lit in line with the other 255 local communities and organisations around the country. The official Guide can be found by clicking Queen’s 90th birthday beacons. Watch the Facebook page and notice boards for more information about this event. Parking on West Street has been a growing problem for some time now. 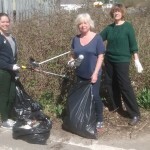 The Parish Council has discussed this with parishioners at the June and July meeting and members of the Parish Council have met with officers from Dorset County Council to try to find some solutions. It was originally suggested that the problem of larger vehicles getting through could be resolved by moving the bus stops. This was discussed and generally agreed that it would not work. We now have another suggestion that the installation of single yellow lines at certain points along the road may be the answer. This will be discussed at the Parish Council meeting on Thursday 13th August. To read the full suggestion please click “Letter ” and for the map click “Map“. Everyone is welcome to attend and put their views forward.